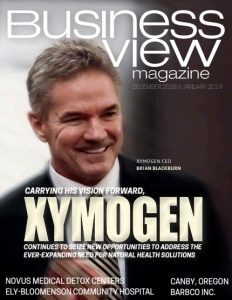 Business View Magazine interviews Rich Stehmeier, Manager of the St. George Regional Airport, as part of our series on U.S. regional airports. St. George Regional Airport is a public use, commercial and general aviation airport located just outside St. George, in Washington County, Utah. 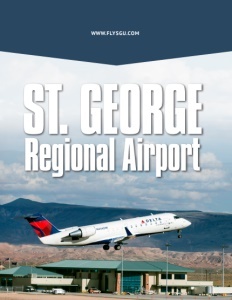 St. George Regional opened in 2011, replacing the much smaller St. George Municipal Airport, which was located within the city’s borders and dates back to the early 1930s. The Airport is owned by the City of St. George, which is tucked into Utah’s picturesque southwestern corner, not far from the state’s border with Arizona and Nevada, and such natural wonders as Zion National Park, Snow Canyon, and the Arizona Strip. Built for about $160 million, St. George Regional Airport is most certainly in a growth mode, as is the geographic area that it serves. “Because St. George is growing at such a rapid rate, I think this is the third year in a row that we’ve been among the top five fastest growing cities – and I think this year, we made No. 1,” says Airport Manager, Rich Stehmeier. “We’re growing so fast that the Airport is having to grow at the same time.” The number of GA hangars helps to illustrate the expansion that has occurred since the Airport’s Jan. 11, 2011 grand opening. There were just five hangars when it debuted and just two years later, that total had grown to 64. Today, there are 92 hangars at the roughly 1,200-acre facility. At 9,300 feet by 150 feet, St. George Regional Airport’s sole runway is large enough to handle Boeing 737s and 757s, as well as the U.S. military’s Boeing C-17 Globemasters and KC-135 Stratotankers. “We take just about anything,” says Stehmeier. A number of projects are underway, or in the plans, to accommodate the increase in demand. For example, St. George Regional Airport is in the process of more than doubling its paid parking capacity by adding 517 spaces. And 200 new parking stalls are being added for the Airport’s rental car companies to increase the total to 315. Another project that will begin next spring is made necessary, not by growth, but by the geology of the land St. George Regional occupies. “We will be closing next year on the 29th of May and then we will reopen the 26th of September, basically a 120 shut-down,” says Stehmeier. “The purpose of that shut-down will be to repair the runway. When they built the Airport, we knew there were some problems with blue clay out here. They thought they had engineered it correctly. The FAA signed off on the engineering and the specs. So we built it and the blue clay is what the engineers are calling ‘super blue clay’ or ‘aggressive blue clay’ and it has caused the runway to ripple. So what we’ve done is, until we close it and do the ‘big fix,’ we’ve gone out and basically milled-out asphalt and replaced it. We’ve kept the center portion of the runway flat so it meets FAA safety specs. Stehmeier says St. George Regional Airport’s engineers believe those measures, along with some related work, will prevent the runway surface from being adversely affected by the clay’s expansion should it get wet in the future. “We’re hoping that the engineers are correct and that we won’t have to do anything other than maybe an overlay for strengthening of the asphalt for the next 20 years,” he adds. Since St. George Regional Airport’s creation on an unoccupied stretch of desert, a major, divided four-lane highway has been built from just north of the border with Arizona, past the Airport and on to the Zion National Park area. That has led to housing growth near the Airport, with the potential for commercial development nearby, as well as on St. George Regional’s grounds, says Stehmeier. Check out this handpicked feature on Yakima Air Terminal – The best way to travel.